It’s not often you can say that the trip on public transport is more tantalising than the final destination. A National Express journey in England evokes fear and trepidation, not wanderlust. But let’s just remember where you are. Yes, Barcelona of course, and just like everything here, even the most mundane is breath-taking. This couldn’t be truer than with the bus journey to Andorra. 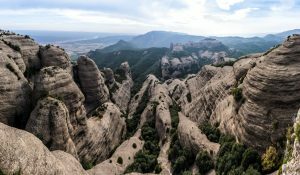 As much as this city has to offer, some of us long to grab a taste of what the Catalan wilderness has to offer. If this is you, this trip is sure to not disappoint. Barcelona is surrounded by some of the most diverse landscapes in Europe and dare I say it, the world. 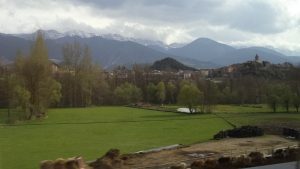 The foothills of the Pyrenees throng up in the distance and mark the beginning of what will be the best bus-ride of your life. After leaving the city limits straight away the scenery is a sensory overload. Lush conifer trees precariously hug jagged rocky outcrops and medieval churches balance on little more than a boulder. Fifty minutes into the journey and to the left you will be awestruck by the majesty of Montserrat. The typical tourist routes take you straight up this mountain and leave you little time to admire from a distance. However, by road you see the mountain from a whole different perspective. Its jagged cliffs and crevasses protrude into the sky right before you. As the road meanders through this rough terrain, the mountain bares its secrets from every side. If you’re really lucky, like I was, on some early mornings its summit is blanketed in a shroud of mist and looks more like a film set from Lord of the Rings than Barcelona’s own back yard. A corner turned and you’re on a different planet. 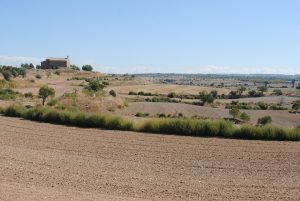 Now you are greeted instead with gentle rolling hills, dotted with the occasional farm house or distant hill top pueblos. During the summer months it’s more Sahara than Spain. 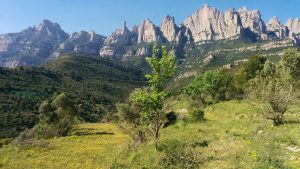 This region of Catalonia is almost a dustbowl compared to the forests gone by, but is equally beautiful. This barren, scorched landscape seems to stretch as far as they eye can see, only broken by occasional meandering picturesque river valleys with many old Victorian mill houses which lend to the strengths of this region’s industrial power. 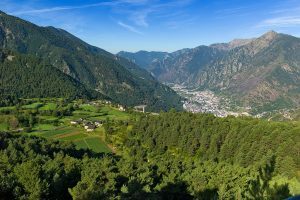 The climax of the journey is undoubtedly after passing the idyllic town of Coll de Nargó. Nestled between a landscape that’s more synonymous with the Grand Canyon than northern Spain you’re greeted by a great ravine and spectacularly jagged cliffs. You’ll be scrambling for your cameras, I guarantee. Somehow, to some relief, the bus manages to snake through the terrain with ease. Another few corners made and you’ve entered alpine country. From Arizona to Switzerland, this tour of the world continues. Half an hour beyond the cliffs the landscape becomes distinctly different once again. Lush, green pasture present themselves and the deserts become a distant memory. Turquoise torrents caress the valleys and cows graze in the rich pastures surrounding them. Switzerland meets England. The flora and fauna aren’t the only things that becomes distinctly different here, however. The architecture is distinctly different; it has to be in such higher latitudes, and chalets not houses dot the valleys and peaks. After a bombardment of landscapes, the journey has to reach its end. The border crossing quickly reveals itself to you and so does the sadness that this rollercoaster is all over. A tapestry of landscapes in just three hours. It’s just a Catalan bus ride away!